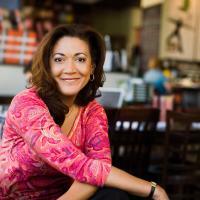 Michele Norris is a Peabody Award-winning journalist, founder of The Race Card Project and Executive Director of The Bridge, The Aspen Institute’s new program on race, identity, connectivity and inclusion. For more than a decade Norris served as a host of NPR's "All Things Considered" where she interviewed world leaders, American presidents, Nobel laureates, leading thinkers and groundbreaking artists. She has also produced in-depth profiles, interviews and series for NPR News programs as well as special reports for National Geographic, Time Magazine ABC News and Lifetime Television. Norris created The Race Card Project, an initiative to foster a wider conversation about race in America, after the publication of her family memoir, The Grace of Silence. Before joining NPR in 2002, Norris spent almost 10 years as a reporter for ABC News in the Washington Bureau. She has also worked as a staff writer for The Washington Post, Chicago Tribune and The Los Angeles Times. In 2014, Norris earned a Peabody award and the Distinguished Dialogue Award for her work on the Race Card Project. In 2009, she was named "Journalist of the Year" by the National Association of Black Journalists. The NABJ recognized Norris for her coverage of the 2008 presidential campaign — when she co-hosted NPR's Democratic presidential candidates’ debate, covered both conventions, anchored multi-hour election and inauguration live broadcasts and moderated a series of candid conversations with voters on the intersection of race and politics. That series earned Norris and Morning Edition Host Steve Inskeep an Alfred I. DuPont -Columbia University Award for excellence in broadcasting. Norris was honored with NABJ's Salute to Excellence Award, for her coverage of Hurricane Katrina and the 1990 Livingston Award for a series about a six-year-old who lived in a crack house. That series was reprinted in the book, Ourselves Among Others, along with essays by Vaclav Havel, Nelson Mandela, Annie Dillard and Gabriel Garcia Marquez. In 2010, Norris' book, The Grace of Silence: A Memoir was published. In the book she turns her formidable interviewing and investigative skills on her own background to unearth long hidden family secrets that raise questions about her racial legacy and shed new light on America's complicated racial history. The Grace of Silence has been selected for community reads in Minneapolis, Seattle, St Cloud, Rochester, and several college & High School campuses including Michigan State, Sacramento State, Coe College, Monmouth and USC. She graduated from the University of Minnesota in Minneapolis, where she studied journalism. She also attended the University of Wisconsin where she studied electrical engineering. Norris is also a former Shorenstein Fellow at The Harvard Kennedy School. She serves as a judge for the John Chancellor Awards at Columbia University and she was on the 2015 judging panel for the US Documentary Competition at the Sundance Film Festival. Norris, who created and hosted NPR's Backseat Book Club, also received a Children's Choice Book Award for being an "outspoken and enthusiastic advocate for reading." She and her husband, Broderick Johnson, have three children and live in Washington DC.